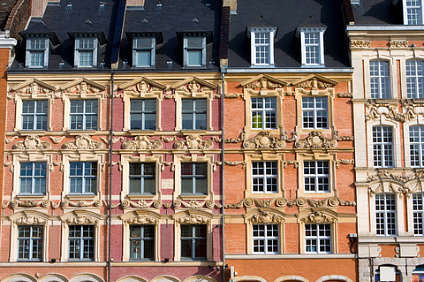 Historical houses at the Grand Place in Lille, Nord-Pas-de-Calais. The Nord-Pas-de-Calais is the modern administrative region comprising the traditional regions of French Flanders (the lowlands) and Artois (the uplands). With 4 million inhabitants, it is the fourth most populous French region, as well as the second most densely populated (320 inhab./km²) after the Île-de-France. Its land area (12,414 km2 / 4,793 sq mi) is comparable to that of the adjacent Flemish region in Belgium. Heavily industrialised in the 19th and early 20th century, the cities of the Nord suffered badly post-WWII deindustrialization and now have the highest unemployment rate in northern France, a situation not unlike that of Wallonia or the English Midlands. 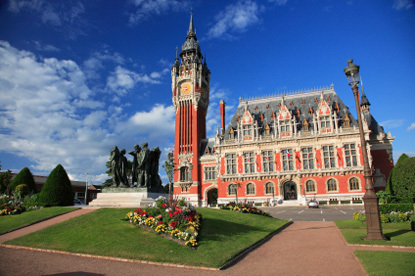 Lille, the capital and largest city of the Nord-Pas-de-Calais, is the undeniable tourist hub of the region thanks to its superb Flemish (Neo-)Renaissance architecture and convenient TGV links from Paris, London and Brussels. If you only have time for one more city, head for Boulogne-sur-Mer, a major historical port that has retained its city walls and old town almost intact. It is also home to one of France's best aquariums. Famous people from the Nord-Pas-de-Calais include (chronologically): Emperor Baldwin I of Constantinople (Baldwin VI Count of Hainaut), the revolutionary politician Maximilien de Robespierre, Marshal Philippe Pétain, the painter Henri Matisse, President Charles de Gaulle, the Nobel-prize economist Gérard Debreu, the actors Philippe Noiret and Pierre Richard, and the business magnate Bernard Arnault. The traditional culinary specialities of Flanders-Artois are essentially the same as in Belgium: moules-frites (mussels with chips/fries), carbonade flamande (beef and onion stew with beer), chicon au jambon (gratin of Belgian endives with ham), potjevleesch (potted meat), waterzooï (fish or chicken stew), lapin aux pruneaux (rabbit with prunes), and so on. The same goes for the sweets and drinks: waffles, sugar tart, Speculoos biscuits, beer, jenever (gin) and root chicory (a coffee substitute) are all as common here as in Belgium. Most of the region was once part of the Southern Netherlands, within the Low Countries, and gradually became part of France between 1477 and 1678. Its culture is still closely linked to that of Belgium. Flemish was traditionally spoken in northern towns such as Dunkirk, Bergues and Cassel, though the number of Flemish speakers has dwindled considerably over the last 100 years. The Picard dialect of French (known as Ch'ti around Lille) is spoken by a minority of the population everywhere else, and across the Belgian border in such towns as Tournai and Mons. Owing to its strategic location at the confines of France and the Low Countries, and its proximity to England, many military conflicts took place in the Nord-Pas-de-Calais. One of the most famous among English-speakers is the Battle of Agincourt (1415), in which English longbowmen defeated a vastly superior army of French knights, took place near modern-day Azincourt, 50 km southeast of Boulogne. 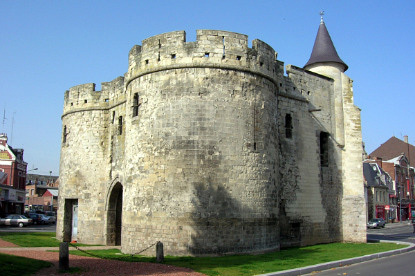 Other major battles took place at Bouvines (1214), Mons-en-Pévèle (1304), Cassel (1328), Ardres (1351), Dunkirk (1385), Guinegate (1479), Renty (1554), Gravelines (1558), Honnecourt (1642), Lens (1648), Arras (1654), Dunkirk (1658), Lille (1667), Cassel (1677 and 1708), Malplaquet (1709), Bouchain (1711), Denain (1712), Tourcoing (1794), and Dunkirk (1940). Additionally, during the First World War, the area between Amiens (in Picardy) and Ypres (in Belgium), passing via Péronne, Arras, Lens and Lille, was the scene of the atrocious Battle of the Somme, which lasted from 1 July to 18 November 1916 and caused over 1 million casualties. The area, known as Flanders Fields, is scattered with more than 1000 military cemeteries, and dozens of war memorials honouring soldiers of various nationalities. Most of the memorials are just across the boundary with Picardy. Those in Nord-Pas-de-Calais include the Canadian National Vimy Memorial, the V.C. Corner Australian Cemetery and Memorial in Fromelles (between Lille and Béthune), the the Indian Memorial in Neuve-Chapelle (7 km southwest of Fromelles), and the Ayette Indian and Chinese Cemetery (15 km south of Arras). 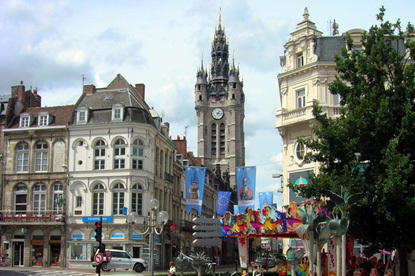 Lille is the largest city in northern France after Paris. 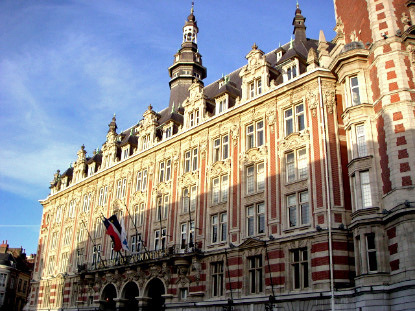 Originally a Flemish city, its Renaissance atmosphere from the Low Countries contrasts with the newer French buildings. 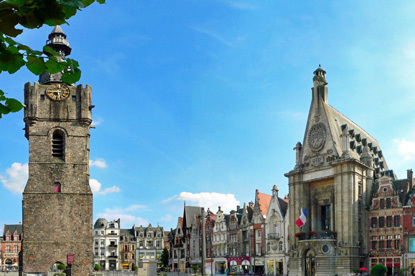 Important Roman then Frankish town, Cambrai has been the seat of the archdiocese of Cambrai & Arras for the last 1300 years and is rich in historical monuments. A major textile centre in the Renaissance, Douai has a quaint feeling representative of French Flanders. It is known for its Gayant Festival. A traditionally Flemish-speaking seaside resort famous for the Battle of Dunkirk (1940), in which Allied troops were forced to retreat to Britain. 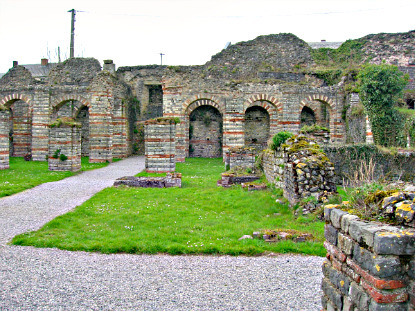 Bavay is the site of the ancient Roman city of Bagacum, capital of the Nervians and major city of Gallia Belgica. It is one of the most important archeological site of the period if northern Europe. Founded by the Romans, Boulogne-sur-Mer was the main port linking Britain to the continent. 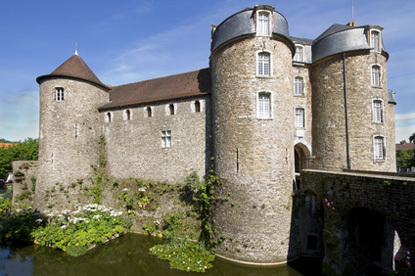 It is one of France's best preserved fortified cities. Its Nausicaä Centre is one of the largest public aquariums of Europe. 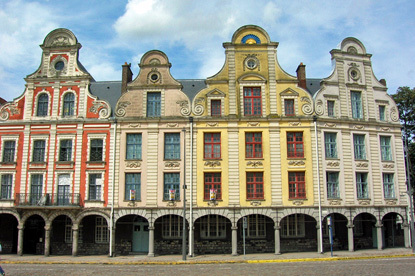 Capital of the Pas-de-Calais, Arras stands out by its taditional Flemish architecture that wouldn't be out of place in Ghent or Antwerp. The region of Artois is named after Arras. Medieval seat of a powerful aristocratic family, Béthune is famous for its belfry and Grand Place. 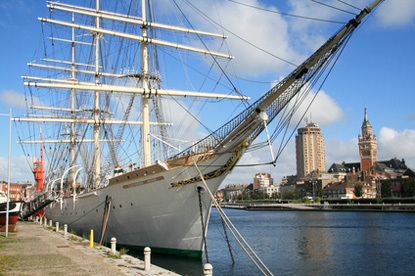 It was nominated regional capital of culture in 2011. Traditional link the European mainland and Britain, Calais was an English enclave on French soil for over two centuries. The old city was built on an artificial island enclosed by canals and harbours.